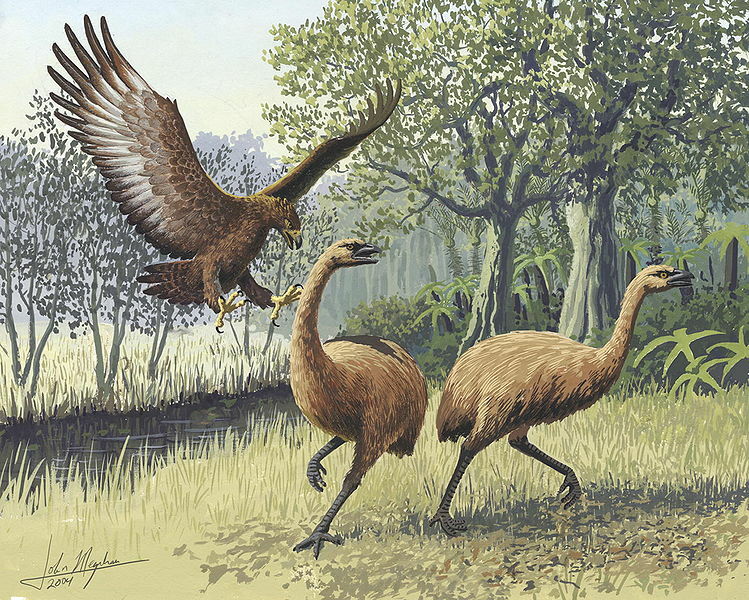 That eagle - the Haast Eagle actually had a wingspan of nearly 10 foot! Have you got some Kiwi in you? No? Would you like some? - a classic pick up line used by Kiwi blokes all over the world, usually to no effect - but ask Halo: Reach if it has some kiwi in it and the answer may just be yes. In an interview with GamejunkieNZ , Joe Tung explained that the game features New Zealand Moa - these are bird's were eaten in to extinction a couple of hundred years ago so it's sweet Reach is bringing them back to life! Other indigenous life that Noble team comes into contact with are birds which Tung claims are called moas - but whether that is true or it's just Tung having done some homework on New Zealand's avian past, I'm not sure, but later in the mission several of the birds zip are seen zipping around, at one point running through a fire fight between covenant troops and Noble team. More from the Tung interview. Update: Moas serve as an achievement in Halo Reach - for the Keep It Clean achievement (as per the ones in ODST) - all you need to do is kill seven moa. That's it and you get five achievement points. For the full list of Halo Reach achievements check here.